The Uganda Law Society (ULS) has said the replacing of long serving Inspector General of Police Gen Kale Kayihura is long overdue, saying he often refused to take responsibility for the many wrongs in police. 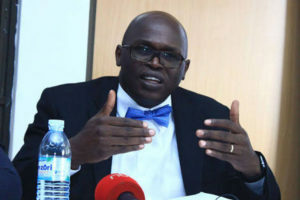 In a statement issued on Monday, Mr Francis Gimara, the ULS president, said despite public concerns about high crime rate, involvement of criminals in police work and in many cases of violation of human rights by security personnel, Gen Kayihura never accepted blame. ULS president Francis Gimara says Gen Kale Kayihura never accepted blame. 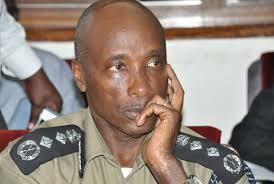 “We have received with gratitude the news of the appointment of a career policeman Okoth Ochola as the new IGP. This appointment is long overdue as the previous leader of the force had taken to blaming everything else for the poor performance of the Police apart from himself. The greatest task of any leader is always to take responsibility for whatever happens under your watch and supervision,” Mr Gimara said. The ULS president challenged the new IGP to deal with rising insecurity, disrespect of human rights and unnecessary deaths of both nationals and foreigners. He said they expect the new leadership, upon confirmation, to compile a comprehensive crime report indicating both resolved and unresolved cases of crime and as well steps being taken to attend to unresolved criminal cases. Mr Gimara also tasked Mr Ochola to undertake a comprehensive investigation of criminal gangs in the country with the aim of bringing the lords of impunity and crime to book. “This investigation must be aimed at exposing, arresting and prosecuting both current and former leaders of the police who through acts of commission or omission have committed several criminal acts,” he said. 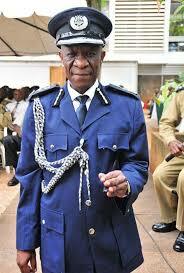 New IGP Okoth Ochola has been tasked with restoring public confidence in the Force. Mr Gimara said Mr Ochola and his deputy, Brig Sabiiti Muzeyi Magyenyi must restore public confidence in the institution of the police and work towards rebuilding a nonpartisan police force acceptable and respected by all stakeholders.